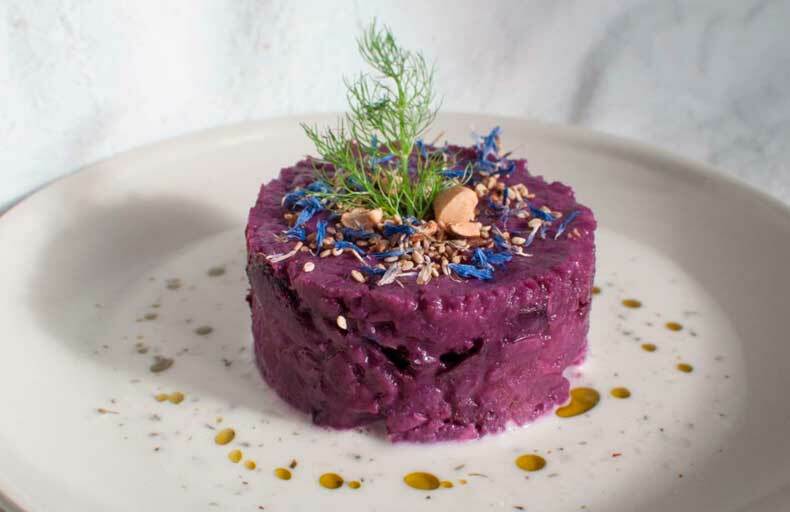 This recipe comes from Sébastien from VeggaBio ! Slice the sweet potatoes and mix with the Ecomil Cuisine Coco and the olive oil. While the gratin is baking, boil the sauce components on a low heat. – In a plate, full a pastry cutter with gratin. – Surround the gratin with sauce. – Decorate with a dill weed and crushed hazelnuts. Many thanks to Sebastien, Veggabio’s head chef. Have a look at his website, Facebook and Instagram for more delicious plant-based recipes!